Strictly speaking, a Victorian house means any house built during the reign of Queen Victoria, 1837–1901. Atlanta does have a number of homes built in this time periord, but there are also homes built more recently in the Victorian tradition. 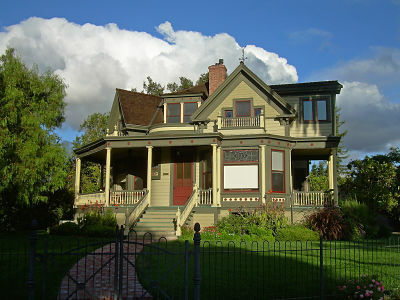 Victorian era homes include a number of styles, including Second Empire, Queen Anne, Stick, Shingle, and Richardsonian Romanesque. Victorian homes can be found in a number of Intown Atlanta Neighborhoods, most notably in Grant Park and Inman Park.